You’re in your early twenties, walking into an office of 30-50 year olds for the first time, ready to set up camp in a new workplace: a few things to a) expect and b) avoid. The other side of this is that some colleagues may be intimidated that you have got the job in the first place, as this means you have new ideas, flare and a different kind of knowledge and/or skill set than they do. 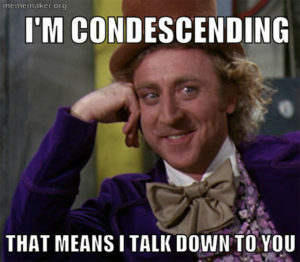 Condescension usually ensues in order for them to feel secure in their place ‘above you’. Take a deep breath. Don’t shy away, be confident (but not arrogant) with your ideas and presence and you’ll begin to carve your own path within the organisation. Have a personality and don’t shy away from your knowledge – they hired you for a reason don’t wimp out now. You will be asked and/or expected to make tea. 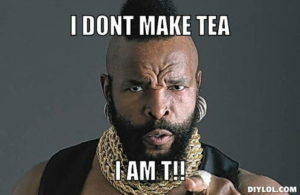 DO NOT OFFER TO MAKE TEA FOR OTHERS UNLESS YOU ARE GENUINELY MAKING ONE FOR YOURSELF. There are other ways to make friends at work (if you really want to). Do not set yourself up for this expectation. 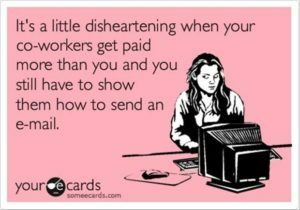 Nothing is more humiliating than having externals come in for a meeting with a colleague, not being introduced but then being asked to make hot beverages – I’ve seen it happen, it does not look fun. Repeat after me: I am not a tea dolly. Linked to this, you will notice that there are certain roles only people under the age of 25 and over the age of 60 are asked to do. This includes making tea (please see above), greeting people at lifts/reception and chaperoning them to the colleague they’re actually there to see, taking people’s coats at events and so on. 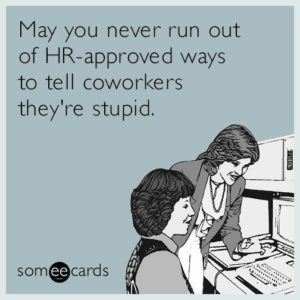 My advice is to allow this to happen between 1-3 times in your first year of working there, then make it clear that you are generally unavailable to partake in the age-hierarchy game. This is where the confidence with ideas, hard work and eloquence comes in once more, so people don’t see you as your age. If something is recurring and you feel is affecting your ability to do your job or to feel positive about your job, definitely speak to your line manager or someone in HR about it. Under no circumstances should you sit on it and expect things to get better. Communicate honestly but without emotion (as in, if you are bloody livid about something, say that you are becoming ‘increasingly frustrated’ or that you ‘have strong feelings about X’, as opposed to getting visibly angry/punching a wall/crying/swearing etc) – this shows professionalism and highlights that you know how to behave appropriately, in contrast to the person(s) who are making you feel this way. It’s always tough entering the world of work, particularly when it’s the start of a career you’re really interested in, but hold on, stay focused and don’t let negative vibes affect you. You can do this!